﻿ Akron Canton Jellystone Park - Ohio. Find It Here. Family-oriented campground featuring a water park, 18-hole adventure miniature golf course, gem panning, and homemade ice cream! 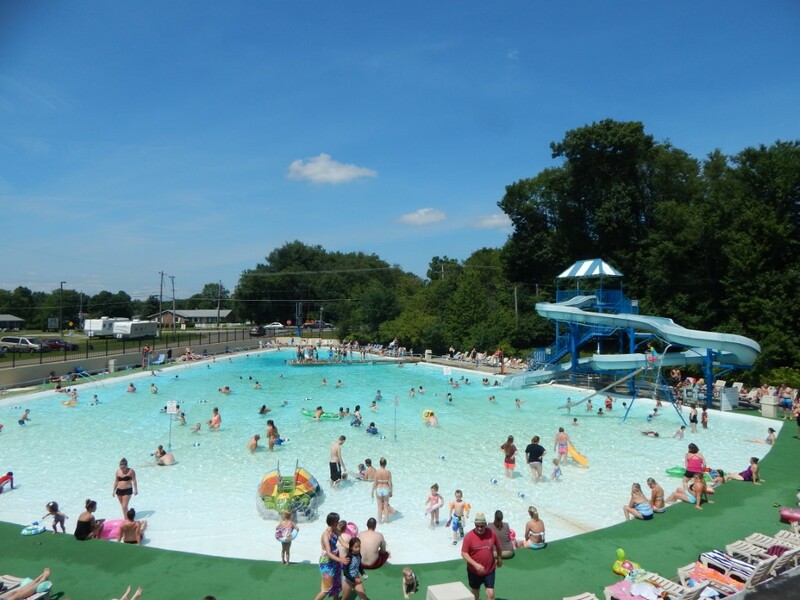 Day passes available, or stay overnight for an all-inclusive adventure.Jellystones Clearwater Park boasts Stark Countys largest swimming pool. With over 550,000 gallons of water, a 144-foot water slide, a diving board, and our unique zero-depth entrance around the perimeter, Clearwater Park provides family fun for all ages. The toddler zone features an umbrella water play area and a 4-foot turtle slide. Challenge a friend on our log roller or in Downpour Derby.Campground offers every type of camping including luxury cabin rentals, tent camping, and full-hookup RV sites. The fully staffed activity department and fun themed weekends provide free entertainment daily. 59 W/E/S Sites, 29 W/E Sites, 4 Tent Sites, 7 Luxury cabins with AC/heat and fully equipped.